Layering the functions and benefits in the landscape allows us to create healthy habitats for both humans and wildlife. Perennial harvests showcasing native plants are a core component of the DIY landscape designs and tailored installation guides Pete provides. Traditional arts, crafts and textiles from the Ojibwe and Lakota nations. Blue Thumb is a partnership of 50+ organizations and businesses, promoting native plants, raingardens, and shoreline stabilization projects as an integral part of beautiful and ecologically functional landscapes that minimize runoff and protect water quality in cities, towns, and suburbs. Established in 2002, Ecoscapes Sustainable Landscaping and Native Nursery is a full service landscape design / build / do-it-yourself landscaping contractor serving the Twin Cities Metro, Minnesota. Our nursery delivers native trees, shrubs, and perennials from Elko, MN to the entire Twin Cities Metro. We design and install raingardens, shoreline renovation projects, native plantings, trees, shrubs, flowers, permeable paver driveways and parking areas, paver patios and walkways, retaining walls and stairs, drainage systems, water features, outdoor kitchens, entertaining spaces, and more. The Freshwater Society promotes the conservation, protection and restoration of all freshwater resources. In 2013, we introduced the new Master Water Stewards program in partnership with the Minnehaha Creek Watershed District. The Stewards are certified community leaders who work to educate the community, reduce urban runoff pollutants, and to demonstrate how the water may remain onsite to soak into the ground. FRIENDS OF THE WILD FLOWER GARDEN, INC.
Our purpose is to protect, preserve, and promote the interests of the Eloise Butler Wildflower Garden and Bird Sanctuary for its unique beauty and as a sanctuary for native flora and fauna of Minnesota, and to educate and inspire people of all ages in relating to the natural world. Great River Greening is Minnesota’s leader in community-based restoration of the land and water that enrich our lives. We are devoted solely to stewardship, working side-by-side with 2,000 volunteers every year to transform degraded land into beautifully resilient habitat that supports wildlife and climate resilience. Since our beginning in 1995, we have engaged 45,000 volunteers and planted 605,000 native trees, grasses & flowers in 20,000 acres on 400 sites throughout Minnesota. In 2018, Great River Greening launched Restore Minnesota, a multi-year campaign to address the current threats to our Minnesota heritage: By 2020, we will impact 10,000 acres of working lands, including critical wildlife areas; reduce water pollution entering 20+ of Minnesota’s rivers and lakes; increase resiliency, biodiversity, and pollinator habitat across 4,000 acres of public land, and inspire 3,000 youth, including ethnically diverse kids and teens, to care for our natural world. We offer comprehensive landscape design/consulting, landscape build, and garden management services. Our work is inspired by individuals, rooted in NATURE, and centered in ecology. Roxanne Stuhr is the owner, MNLA-CP, MWS. ALL life needs a garden and we look forward to working with you in yours! On the shores of beautiful Bush Lake since 1937! We are the defenders of Soil, Air, Woods, Water, and Wildlife. We are a diverse group of committed conservationists and outdoor enthusiasts that work to protect our natural world on local, state, and national levels. Since 2001 we have worked to restore our chapter property by removing invasive species and planting over 9,000 native plants. Win a membership in the silent auction. Win free native plants at our booth! 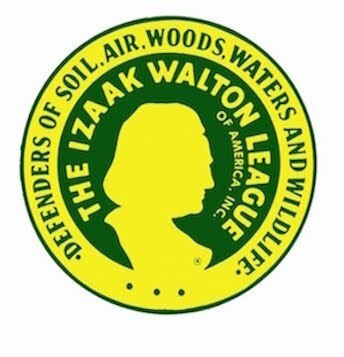 The Minnesota Valley Chapter-Izaak Walton League is a beautiful spot on the bluffs of the Minnesota River Valley at 6601 Auto Club Rd. in Bloomington. We are restoring our 8 acre grounds to a natural condition with trees, woodland species, prairie grasses, forbs and a big pollinator garden with easy access to the river's floodplain. The modern chapter house has been renovated with accessibility, upstairs and down. We put on monthly environmental education programs and many hands-on clearing and planting events. We are proud, dedicated Defenders of Soil, Air, Woods, Waters and Wildlife. Superior rooted trees, retail and wholesale, custom grown and installed. With over 20 years of experience in all aspects of native restoration, Minnesota Native Landscapes (MNL) can help meet your ecological restoration goals, no matter the project. Specializing in the installation and maintenance of native ecosystems, native seed mixes, and native plant production. Minnesota's most experienced shoreline restoration company. We are a design-build ecological restoration company with over two decades of experience in planning, creating and maintaining quality natural areas. We have the most experience restoring and managing lake, pond, and wetland shores across Minnesota. Our experience spans from small residential properties all the way to sprawling city and county parklands. We grow only chemical-free MN native plants for our projects and for wholesale and retail sales. Naturally WILD is a small Minneapolis nursery that provides native Minnesota wildflowers and grasses for prairies, woodlands and rain gardens, using only natural, sustainable growing methods. We have many native plants that attract wildlife, including several varieties of milkweed and liatris. We encourage creation and restoration of any size prairie, woodland, and wildlife habitat, using sustainable gardening methods without introducing synthetic chemicals or herbicides into the environment. Dedicated to community environmental education and stewardship. House by house. Block by block. Neighborhood by neighborhood. Neighborhood Greening aims to harness the spirit of community to make small but impactful efforts that will make a greener neighborhood for both humans and wildlife. One of Neighborhood Greening's initiatives is the publication of the journal, The Butterfly Effect. Journal articles spotlight community successes, examine small but impactful changes we can make to become better stewards of our local environment, tell our “green” stories, and show how environmental stewardship directly enriches our community, families, and lives. On the shores of Lake Nokomis in Minneapolis, rests a 4-acre native planting, installed in 1998. This restoration showcases the dynamic oak savanna and prairie natural areas that provide habitat for beneficial insects and birds. The three demo gardens are maintained by volunteers (with many Wild Ones members). Come join us gardening! The Nokomis Naturescape is the site of the Minneapolis Monarch Festival, monarchfestival.org. Pasque Ecological Design specializes in sustainable landscape architecture design services, including designs that emulate, restore, or preserve native plant communities; designs that draw out the regional beauty of native plant communities; sustainable stormwater management; edible gardens; spiritual gardens; healing gardens; and nature based classrooms and playgrounds. Clients include residential, commercial, public, and institutional clients, including, schools and faith based communities. Protecting pollinators through habitat restoration, education and awareness, civic stewardship, pesticide reduction, and advocacy. Prairie Moon Nursery is an online/mail-order business for 100% native plants of the Midwest. Since 1982, we've shipped the highest quality native plants and seeds, covering 700+ species. For over 40 years we have installed and maintained native plant landscapes throughout the Upper Midwest. We grow our own local ecotype seed and plant materials which are available for retail sale. Retail locations in Princeton, Scandia and Duluth. Renaissance Soil is 501(c)(3) nonprofit organization working to transform dirt back into living soil! We hold frequent public classes, perform bio-assays of soil and compost, and are available for farm and garden consultations. Subscribe to our quarterly e-newsletter via renaissancesoil.com for class and event updates! Bookseller of new and used books about gardening, natural history, birds, insects and related topics. A national Wild Ones Campaign created to encourage planting of native milkweeds and nectar plants to support monarchs and other pollinators. We partner with Monarch Watch, Monarch Joint Venture and the Wild Ones Twin Cities chapter partners with the Nokomis Naturescape. Dedicated to preserving and enhancing urban natural areas for future generations through natural resource stewardship, community engagement, and advocacy. Since 1971 The Xerces Society has worked to protect invertebrates and their habitats. Invertebrates are an essential part of all ecosystems, contributing to the survival of wildlife, the pollination of crops, and the health of our environment. A comprehensive online botanical reference to the plants of Minnesota.